It’s hard to overstate the importance of selecting the right enterprise accounting software. Counting the beans correctly is essential for your company — financial complexities can lead to non-compliance with regulations and 6-figure fines, and will be more costly down the line than buying software upfront to avoid mistakes. 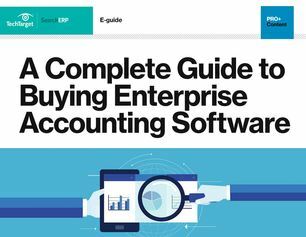 A Complete Guide to Buying Enterprise Accounting Software explores the modern features of enterprise software, such as automation, that can give your financial team more time to focus on growing the business, rather than menial tasks. To access this guide, you’ll take our multiple-choice survey on enterprise software. Choosing the right accounting software is a critical move for your business, and this 40-page guide has the details to help you make the best long-term decision for your needs.